4 bedroom, 3 bathroom villa in the Cumbrian Lakes community. Owned by Jon Thomerson. Ref: 474. For privacy reasons, the marker on the map shows the Cumbrian Lakes community location and not actual villa location. Located on the beautifully appointed gated community of Cumbrian Lakes, this spacious 4 bed / 3 bath home, which features two magnificent master suites with King beds and sleeps up to 10 guests, is the perfect vacation destination for larger groups or multiple families who require upmarket and stylish accommodation. This stunning home enjoys rolling vistas of natural conservation, as well as pleasing community facilities including a children’s play area, picturesque lakes and meandering scenic paths, which are ideal for those wishing to jog or simply take a gentle stroll. Air conditioned throughout and with the added benefit of ceiling fans in all rooms, our home is fully alarmed and even offers a safe for your valuables, in order to ensure the safety and security of both your possessions and your loved ones. We take a great deal of personal pride in our beautiful home, and with regular redecoration and added furniture upgrades, we know that those who rent from us do so too. The entertainment options provided for your enjoyment ensure that you will never be at a loose end, and combined with the other great facilities that this fabulous home offers, create the perfect vacation experience. Granite worktops, new sinks and taps (faucets) in the kitchen and all 3 bathrooms. New stainless steel appliances (side-by-side fridge/freezer, range, dishwasher & microwave) in the kitchen. New King beds in the 2 Master bedrooms and a new wall mounted 50 inch HD TV in the lounge. New front-loading Washer & Dryer & new carpets throughout the villa (January 2017). Without doubt the best loved feature of this remarkable vacation home is the stunning South facing pool and extended deck, which overlooks rolling conservation and thus provides much sought after privacy for your outdoor activities. The oversized pool with striking water spray feature and poolside shower is fully screened to keep out any troublesome bugs, and is equipped with multi-colour underwater lighting to allow you to extend your bathing time into the warm laid back Florida evenings. Serviced once a week by a fully licensed pool technician, you will always find the water crystal clear and ready for you to enjoy. During the cooler months, pool heating is available for a small additional charge. If you ever need to escape the glorious Florida sunshine, our shaded lanai area and large parasol will afford welcome cover and the loungers, tables and chairs provided for your convenience will mean that you always have somewhere comfortable to relax and enjoy everything that the great outdoors has to offer. Vacations are all about having fun, and so to that end we know that you will be thrilled with our fabulous Games Room, which features a fantastic 8ft red baize pool table, super fast, high octane air hockey and the ever popular foosball (table football). There’s never been a better opportunity to challenge the kids to a tournament of friendly rivalry and enjoy quality time relaxing and chilling with the family. With cathedral ceilings, our open plan lounge / diner is an impressive space in which to both unwind at the end of a fun packed day and savour a fabulous home cooked meal or take-away. Entertainment is never far away in our stunning home, and features such electronic delights as a new wall-mounted 50 inch HD TV, Blueray/DVD player, a PC with free high speed internet (plus wi-fi connection for those who wish to bring their laptops or smartphones), mini Hi-Fi with CD player and a select library of DVD movies to suit all ages. We are delighted to present you with a choice of four magnificent bedrooms, each one individually and tastefully designed and furnished with your absolute comfort in mind. The two largest are Master suites containing King sized beds, whilst the remaining two are Twin bedded and feature two full size single beds in each. 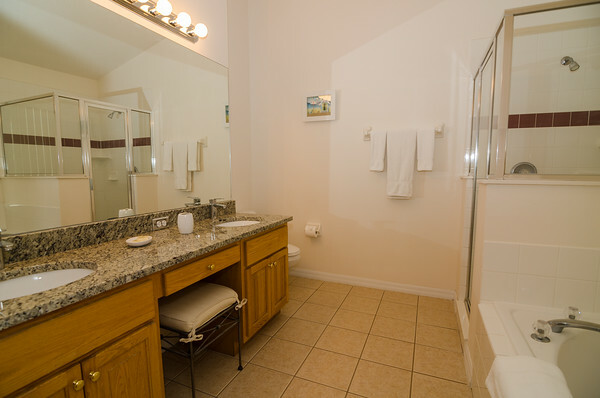 Both master suites feature cable TVs, private telephone, large walk in closets and fully equipped and elegantly styled master bathroom suites, comprising of a stand alone shower, bath tub, twin sinks with vanity and a separate WC. The two Twin bedded rooms are beautifully presented and would suit either an adult, teenager or child. 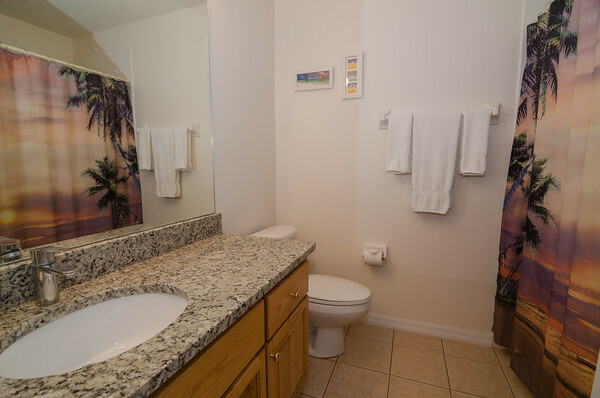 Each twin bedroom boasts it’s own remote control cable TV and integral DVD player, and both are conveniently adjacent to the 3rd family bathroom which features a bath shower combo, sink with vanity over and storage under and a separate WC. We even provide a stylish sofa bed, which if necessary, can accommodate a further two adults in complete comfort. Naturally, for your convenience all of the bed linens and fluffy quality towels are provided free of charge, as are pool towels - we have also taken care of younger guest’s requirements by making a cot/crib and high chair available to your party. The heart of any home is the said to be the kitchen. Certainly, our fabulous open plan fully equipped kitchen, conveniently located adjacent to the expansive proportions of the tasteful dining area will not disappoint. 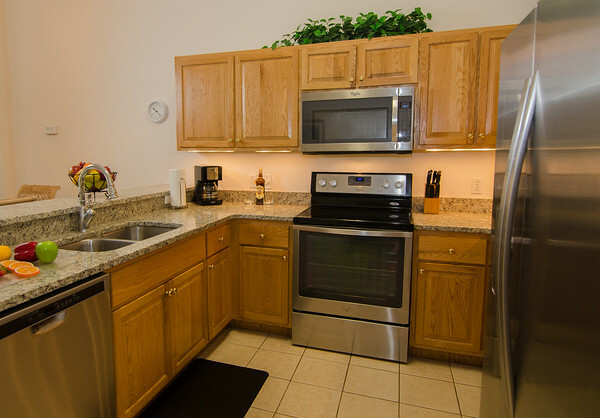 It’s a great place to cook, prepare a snack or just join in the fun of a friendly chat over an aromatic cup of coffee and a fresh baked muffin - and with the recent addition of new stainless steel appliances, it now looks even better! Our extravaganza of electrical appliances continues with a family sized cooker/range, side-by-side fridge/freezer with ice maker, dishwasher, waste disposal, microwave, toaster, coffee maker, blender… etc... etc…. in fact, it’s just like a real home from home. For the convenience of all our guests, we are delighted to provide full laundry facilities which include a washer and dryer, together with an electric iron and ironing board, to ensure that everyone always looks at their best. Our local management company is on call during office hours and will be happy to assist you should you require help or advice, or in the very unlikely event of an emergency arising whilst you are staying in our beautiful home, there is a 24/7 emergency number supplied for your complete peace of mind. Finally, if you do need to reach your loved ones back home, maybe in other countries, long distance calls can be dialled direct from our own phones, simply by following the instructions that we provide and registering a credit card to cover the cost of the calls. However, most local calls are free. Granite worktops, new sinks and taps (faucets) in the kitchen and all 3 bathrooms. New stainless steel appliances (side-by-side fridge/freezer, range, dishwasher & microwave) in the kitchen. New King beds in the 2 Master bedrooms and new 50 inch HD TV in lounge. New front-loading Washer & Dryer & new carpets throughout the villa (January 2017). As we are strictly a non smoking family, and are also aware of the concerns of future allergy sufferers who may wish to stay as our guests, we would politely ask you to respect our “No Smoking” policy. Whilst you are welcome to smoke outdoors and on the pool deck, please DO NOT book our splendid home if it your intention to smoke indoors. In order to maintain a clean environment to safely accommodate future guests with allergies and breathing difficulties, our villa is designated as a strictly Pet Free Zone. Arrived home in December following a wonderful months stay at Cumbrian Lakes. Booking with Jon was made easy by his prompt replies and willingness to help where possible. The villa itself, having viewed it on the website, exceeded all our expectations, from its well equipped kitchen, cosy seating area to its bedrooms with ensuite bathrooms, walk=in wardrobes and large comfy beds. The outside area was equally impressive. It was quiet and secluded with plenty of room to relax in the sun during the day, or with a drink/meal in the evenings. The pool lights made it even more special. Cumbrian Lakes is ideally situated for all attractions, entertainment, shopping and eating out. The I-4 is also close by if, like us, you enjoy travelling further afield. I have absolutely no hesitation in recommending this villa and look forward to hopefully making a return visit in the future. We are 8 adults who have just returned from a 3 week stay in this fantastic villa. The villa was spacious with 4 good sized bedrooms, 2 of them master suites with huge comfy beds and spacious bathrooms with both baths and separate shower enclosures, the lounge was relaxing to sit and chill out after hectic days at the theme parks watching a bit of TV with its numerous channels. The kitchen was well equipped with all the utensils needed to cook any meal, not that I cook on holiday, with a huge fridge/freezer and cooker. The laundry facilities meant I came home with minimal washing which is always a bonus. The dining table seated all 8 of us comfortably. The games room in the garage was well utilised by the men in our group having pool competitions on a night, kept them quiet!! The pool area was superb with plenty of sun loungers and chairs and the position of the villa meant we were not overlooked and had sun most of the day, the pool lights added a magical ambience on an evening. The location of the villa is ideal for visiting both Disney and Universal theme parks and with Old Town and its numerous restaurants on the doorstep you couldn’t ask for more. Cumbrian Lakes is a gated community so felt very secure and the neighbourhood was very quiet and peaceful all in all we had a fantastic holiday and the quality of the villa only added to the experience. Anyone looking for a villa won’t go far wrong in choosing to stay in this excellent home from home I would highly recommend staying here and hopefully return again one day. We have just returned after staying 3 weeks at Cumbrian lakes. The villa was fantastic. Before we arrived Jon had sent detailed instructions for key collection, which went smoothly, the king size beds were a great welcome after a full days travelling. We all woke early excited to use the pool. It is a great pool and had plenty of use, especially as the villa is so close to Disney, popping back after a morning at the park for a swim, or spending all day relaxing not being over looked. 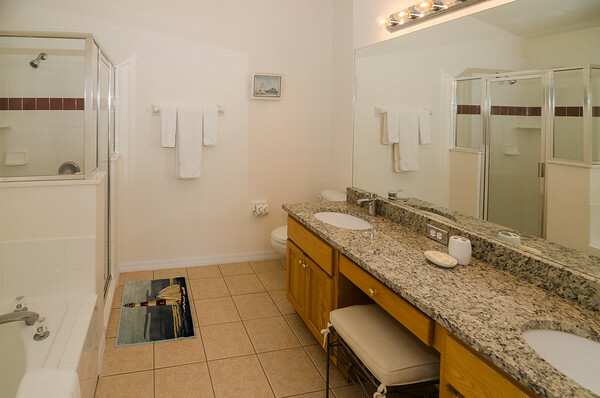 Comfy rooms, spacious bathrooms. The kitchen had everything you needed. Fab tv and netflix was a great hit with my family. We had two cars and they fitted on the drive no problem, the location of Cumbrian lakes is a favourite of ours, you can jump on the Osceola parkway toll road and be on the Disney complex in minutes, Walmart just up the road for your shopping. We were sad to leave and we would definitely recommend this villa. We have just returned from a fabulous stay in Cumbrian Lakes. The villa was fantastic! Wonderful pool with coloured lights so you could swim at night after long day in the parks and plenty of loungers to sit on when the sun made an appearance. The bedrooms are huge with 6 foot beds in the 2 double rooms and plenty of space. Our teenagers appreciated having a TV in all the bedrooms as well as wi-fi! As we had quite a lot of rain the pool table had a lot of use. You could not be bored, there is a drawer of reading books and an X-box, Jon and Sharon have literally thought of everything. The kitchen is well equipped and the washing machine and dryer have to be seen to be believed! It's lovely to come home after a tiring day and enjoy a drink on the squashy sofa or by the pool. The neighbourhood is very quiet and it is easy to get around. Great location for Disney and Universal and we drove to Busch Gardens in just over an hour. We booked 3 weeks which allowed us to have some down time spent round the pool or shopping. This was our first time in Florida and it did not disappoint! Highly recommend staying here and will hopefully return one day. We have just returned from a wonderful 2 week holiday. 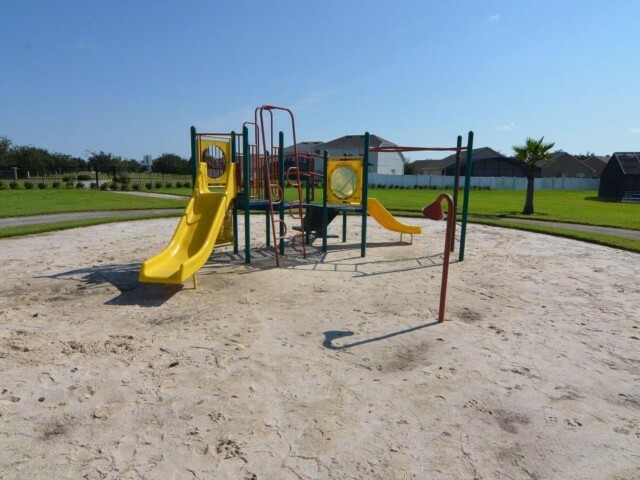 The area is very well located for the parks and other amenities and the community is well maintained. The villa is very well equipped and fitted to a high standard. The outlook from the pool is over a conservation area and you are not overlooked by other villas and being south facing means you get the sun all day. The games room and access to a computer is a bonus, especially with a teenager. Everywhere is easily accessible and being a gated community you feel very secure. 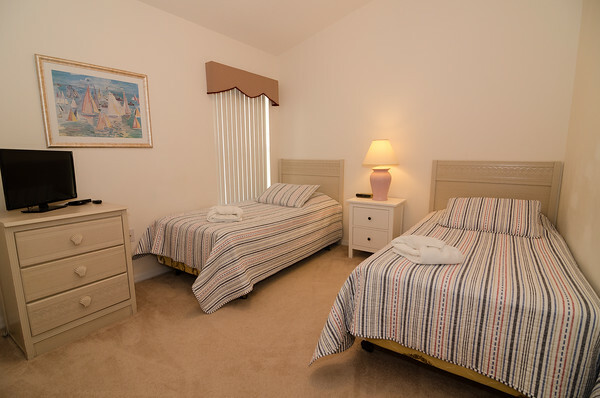 The beds are huge in the two main bedrooms and very comfortable. We have stayed in other villas, but this one tops them all. I've never been away and felt so chilled and relaxed. Jon and Sharon are great owners and from booking the villa, receiving a welcome email and another on our return, their attention to detail is second to none and this is reflected in their villa and I would highly recommend to anyone considering staying in the area. The only negative being that we had to come home!! What a fabulous villa, great sized rooms, lovely pool area and beautifully maintained throughout. Very convenient for all the parks and malls. Cumbrian lakes is a lovely setting, Jon the owner was very helpful and we really only wish we could have stayed longer!!! Definitely recommend this comfortable base for a fantastic Florida trip. :) We had a wonderful 2 week stay in this beautiful villa and would highly recommend it to anyone visiting the area. We have visited Florida many times and this is one of the nicest villas we have stayed in. It is furnished to a very high standard and the kitchen and laundry appliances are excellent, there was really nothing that we needed that wasn't provided. The pool and pool area are lovely and there are plenty of loungers etc. to enjoy the sun that shines on it all day long. Also the outlook on to the conservation area makes it private and relaxing and at night the pool lights make it a fun place to chill out after a busy day at the parks or the malls. Cumbrian Lakes is a well maintained community with lovely walks around the lakes. Jon, the owner, made the whole booking process very easy and was very helpful throughout. We definitely hope to visit this villa again in the future. We found the house to be perfect. Clean, tidy, well furnished and with everything we needed. The kids enjoyed the games room and there was plenty of space. Jon (the owner) was proactive and helpful from the outset and we thoroughly enjoyed our 5 days there. Great location and a nice community. We would definitely return if we visit Orlando again. Superb value for money. 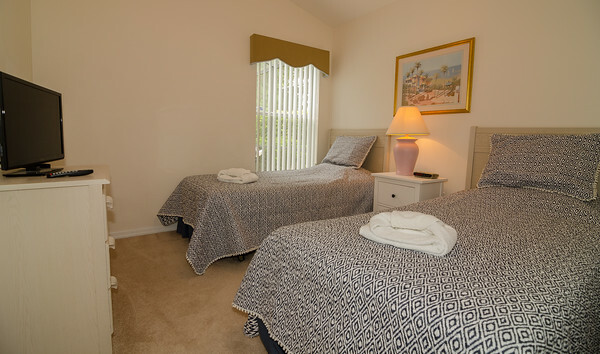 We have two kids ages 14 and 15 and they enjoyed having a comfy, spacious bedroom each! Me, my husband and 7 year old daughter stayed at Cumbrian Lakes early April on our first trip to Florida. The villa has great facilities, the pool was great and the games room too. Nice area and the adjacent lakes (including alligator and baby cranes kept the little one amused). About 20 minutes from Disney parks and close to shops and restaurants. Not far from Celebration which we enjoyed and highly recommend. Would definitely recommend this villa and would love to return again. After a tiring day in the parks it is great to return to the villa, and relax, at a home from home. Process of booking and arrival pretty simple. 'Just returned from two enjoyable weeks in Jon and Sharon's beautiful villa. Have been holidaying in the Poinciana area for over 25 years but found Cumbrian Lakes much more convenient for the parks, restaurants and shops, and would definitely return again. The villa is extremely well equipped, and we couldn't think of one thing that wasn't there. We had trouble dragging our grandsons away from the pool and games room. Our only complaint was that we hadn't booked three weeks. The villa is very well laid out, clean and tidy with a good range of equipment. The gated community is one of the nicest in the area, quiet and homely feeling and did not feel over crowded with properties. The pool backs onto a wooded area, so it is quite private and gets the sun most of the day. Getting to the main Orlando attractions didn't take very long (despite traffic in Orlando being ridiculously slow) but the location meant we were away from the frenzy once we went home - perfect for us. We didn't get much chance to use the games in the garage but they are a great addition. It is so nice to have an engaged owner - Jon responded promptly and helpfully to all our questions. We would definitely choose to stay here on our next visit to Orlando. Our first visit to Florida and one of our best holidays. The location was in easy distance to all major attractions, shops and restaurants. The villa was nice and clean when we arrived. We wouldn't have to search for anything as the instructions were very clear where necessary. I've already recommended the villa to my friends. Jon was very quick in responding to all my queries and also during the booking process. The information provided before the trip was so clear and detailed that we never felt worried about going to a new place. We thoroughly enjoyed our stay and will stay here again in future. Excellent Stay - My family stayed for quite a long time and enjoyed every moment staying at the Cumbrian Lakes Villa. The property is very spacious and the furnishings are new and clean. The master bathrooms especially stood out, they were better than the ones we have. Mr.Thomerson was very nice and generous. We look forward to staying at his villa in the future. 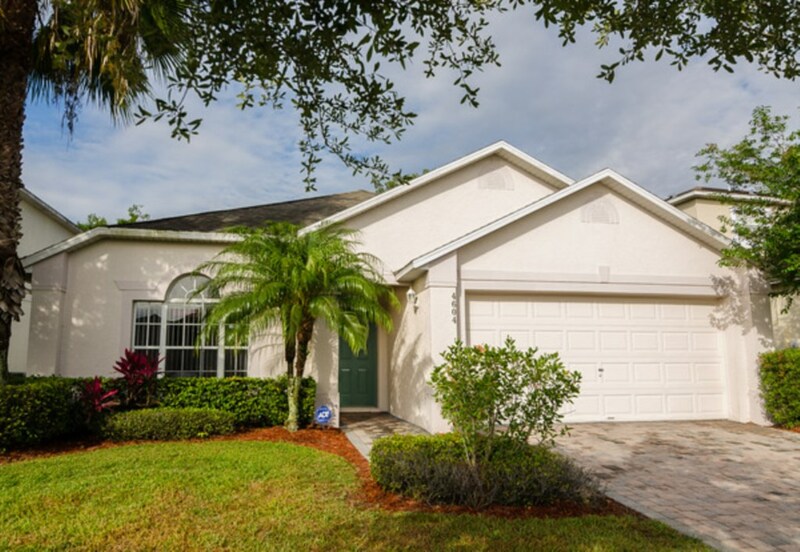 Highly recommend this villa & location - Being frequent visitors to Kissimmee, Florida we thoroughly enjoyed our stay in this beautiful, spacious villa. Set in a peaceful, gated community located close to all the necessary amenities & tourist attractions. The villa itself was exactly as described, spacious with all the mod cons & spotlessly clean. The south facing pool with large deck is very private, overlooked only by beautiful trees which do not cast shade on the pool/deck area. Jon, the owner was more than helpful before, during & after our stay. The villa was perfect for our family holiday. We would definitely stay there again & would have no hesitation in recommending it to others. Beautiful Villa in a great location - The villa is located in a lovely quiet gated community close to all the theme parks so was an ideal base. It is decorated to a high level throughout and it felt very much like a home away from home. The south facing pool is perfect for the few rest days we managed to squeeze in and it is close to a variety of shops and restaurants so you don't have to venture out too far if you don't want to. Jon was enormously helpful during the booking process and added in little touches like maps/phone card etc which came in very handy. We will definitely be returning to Orlando in the near future and we would love to stay at this villa again if it's available. Thank you to Jon and Sharon for a wonderful stay in your home. Place felt like home to us, beautifully furnished, comfortable, spotlessly clean and well equipped. Was very spacious and ideal for us and our three children (aged 10, 9 and 5). The children all loved the warm pool and the games room in the garage (pool table also a huge hit with my husband). The house also has free wifi which was an added bonus. Cumbrian Lakes is a lovely quiet, well kept development and only 20 minute drive to Disney. We found it ideal for seeing all the theme parks and we would highly recommend a stay here to friends/family. Jon the owner is very helpful, and the management company were also quick to deal with any problems. We hope to return one day, thank you for great holiday. We spent 3 weeks at the villa at the end of July/beginning of August and had a lovely holiday. The villa was well equipped, clean and spacious and is ideally situated with only a short drive to the Disney and Universal attractions. Our children (15, 13 & 10) loved the pool and enjoyed using the games room facilities and they appreciated the free Wi-Fi! Cumbrian Lakes was very peaceful and we saw some alligators in the lake. There is also a lovely play area for the children to use. It's a large family home with plenty of room for all. Perfect base for all attractions and supermarkets. We particularly enjoyed the games room in the evening and of course the swimming pool during times we were not visiting attractions. All equipment within the house is more than sufficient. We loved the home. It had everything you could ever need. Great for families with teens, little ones, adults, just everybody. I hate to give such a great review because I want this home to be available every time I want to come back, and we're already planning for a stay next year. However, I have to be honest. This home is big and affordable. The owner and management company really cater to the needs, pleasure and enjoyment of families. You will NOT regret renting this gorgeous home. After travelling to Orlando for many years and staying in hotels, we were delighted that this year we chose to stay in this villa. Everything was great. Really liked the walks by the lake. Teenagers enjoyed the games room. It was so good that some of our party wanted to stay on longer and the owner Jon, organised this without any hassle. Would definitely recommend for parties of all ages. Spent 3 weeks in this lovely villa, its well placed for visits to Disney, shopping etc. Lovely safe neighbourhood. would book this again if we were to be in the Kissimee area. Had an issue with lack of towels which was resolved within a day of bringing it to the owners notice. Thanks again for a brilliant stay. Just returned from Jon's holiday home, august 2013 , very pleased all that you would need for a comfortable holiday home and more. Excellent standards and well situated for 192 highway and i4 interstate close to a 24h wall mart , well managed and a pleasure to deal with. 'Just returned from a great holiday and all 7 of us loved the villa. It was near to the Disney Parks and various restaurants. As the property was so well equipped we ate in a lot as supermarkets were close by. Also ate in nearby Celebration, which is worth a visit. The property was clean, comfortable and had lots of things to keep us occupied such as the games room. The lovely warm pool was used on many occasions. We were positioned in a nice quiet area, so it was a pleasure to sit outside and relax. Would definitely use again as we felt comfortable, safe and were in a great location for all the attractions. It was a pleasure to stay there. Thank you. We had a fantastic holiday in Florida and it was great stay at your fantastic villa. The pool, internet, phone and games room were excellent keeping us entertained and in touch with home. The pool overlooks a wooded area and the community is both private and gated. Only a few miles from Disney, I-drive, Malls etc. The villa is convenient, clean and tidy with everything supplied that we needed. Jon was very helpful with the booking making everything go smoothly. from hairdryers to blenders and coffee makers and all in good working order. We had a brilliant time - Thanks! As the parents of Paul Taylor the previous guest book entry we would like to add our comments. Jon & Sharon,s villa is beautifully appointed,quiet & relaxing and very accommodating. The last two weeks of our 4 week holiday have been spent playing golf on several good local courses at very reasonable rates.All in all a perfect base for our two centre holiday sharing the magic of Disney with the grandchildren & our pass time playing golf,we will certainly come again & again. Our family has just returned from an amazing two week stay in florida which was everything we had hoped it would be. My wife and I and our two children (5 & 3) were joined by my parents and my wifes Aunt & Uncle (who drove down from Pennsylvania!, making 8 in total. All of us found the villa to be perfectly well appointed and comfortable, with plenty of space for all. All the bedrooms were spacious, the bathrooms clean and the living and pool accomodation were great. The very few minor problems, (TV and one faulty burner on the cooker) were dealt with within an hour by the management company and Jon was on hand via e-mail with advice and assitance at all times. The estate is very nice, the kids loved walking to the lake and small playground (with buckets and spades!) to look for wildlife (and we did see an alligator!) and we followed several of Jons recomendations for shopping and eating as well as excursions beyond Disney. All were very good and added to our whole experience hugely. It is well situated for all the theme parks where we had a fabulous time and overall, we could not fault it. I would recommend it wholeheartedly if you are considering a holiday anywhere in this area and would return in an instant. Thanks to Jon and everyone involved. Our thanks to Jon and Sharon for allowing us to rent your lovely home which proved to be just right for our family vacation with our son, daughter-in-law and 3 grandchildren. The bedroom configuration of 2xmaster bedroom en-suites was perfect as each couple had their own 'space' with 2xtwin bedrooms remaining for the 3 children - perfect for the grandchildren (one boy and two girls). We all loved the spaciousness and cleanliness of this home - and of course, the children were especially taken with the pool! 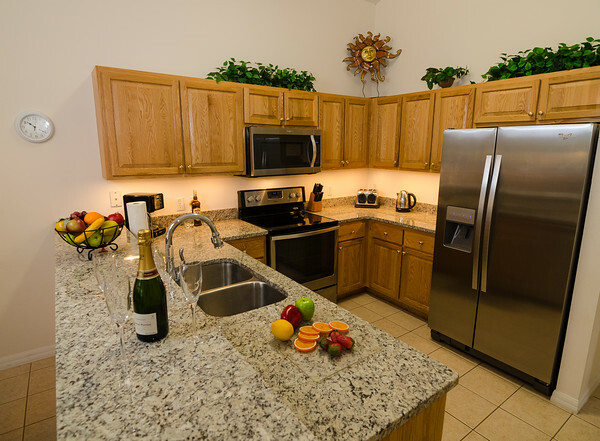 Cumbrian Lakes is a lovely gated community, very well located for the Orlando attractions yet quiet enough to be peaceful at the end of sometimes quite hectic days! We would highly recommend this home to to others for their vacation rental. Steve & Lesley & Family, Prestatyn, N.Wales, UK. table in the garage and even WiFi. All the bedrooms are well appointed and comfortable, bags of space. Neighbours were very friendly and helpful while we stayed. Booking and information from Jon was excellent. We would definitely book this villa again. We enjoyed our stay in your beautiful spacious home. We found it to be in a very safe and peaceful neighbourhood. We enjoyed our walks around the lake and the neighbourhood. We appreciated the view of the wooded area from the patio. We would not hesitate to recommend your home to our friends and will certainly be returning for another stay in the near future. My Daughter,Son in law, 4 grandchildren and myself had a great time!! This villa has a wonderful home away from home feel. I would defiently be a returning guest and will recommend this villa for your stay around the disney area!!! We stayed in Jon's villa for 2 weeks in October/November 2009. The villa was everything you could wish for. Very clean, loads of room, with every facility we could possibly need. We also appreciated the personal contact we received throughout the booking. We had an absolutely fantastic time and would highly recommend a stay in this villa. Well, what can one say that has not been written before? Twenty two of us flew out for son Tim and Janet's Wedding in The Leu Gardens in 103 degrees, a record!! A fantastic day. The reception was held in The Gay Lord Palms Hotel, on a boat, on a lake with alligators and turtles, INSIDE the hotel! How "Wow" is that then? We rented three villas in the Cumbrian Lakes complex, all were delightful, meeting all our expectations. Spotless, high quality fixtures and fittings, all we would expect for a perfect two week holiday. We hope to return soon, hopefully before the happy couple celebrate their Silver Wedding! As an addition, Ian and I are happy to do "House Swops" here in the U.K. and at our villa in St. Lucia Caribbean. If you EVER become tired of Kissimmee (who couuld? ), contact us. We have just returned from a fantastic 2 weeks staying in this lovely villa. We had viewed the website, seen the brochure but were still taken aback when we arrived at how great the villa really is. So much space, very comfortable, a real home from home, lovely pool. The villa is situated only a short drive away from Disney etc absolutly ideal. Jon was very helpful and so was the management company. Will be back as soon as we can and will recommend to friends too. But its not only the house that I would like to recommend, but the owners as well. They are very helpful and tidy. The house did exactly what it said on the tin. We and the kids stayed for 4 weeks without a single problem or anything to complain about. The managing agents even replaced the faulty TV remote within 30 minutes!! We will most definitely not even bother looking for anywhere else to stay on our next visit to Orlando. The house is situated absolutely perfectly for the parks and nightlife. Bill,Denise,Tony,Katie and our two grandchildren Harrison and Sophie aged 3&5, had a wonderfull time at Cumbrian Lakes. from the start the villa was spotless the swimming pool was a delight, we could not get the kids out of it at the start they could not swim after 3 weeks there they swim like fishes. Last but not least Jon was of great help to us before we left and also the next door neighbor was both helpfull and friendly. YES I WOULD LOVE TO STAY THERE AGAIN. We spent 3 weeks in Jon's villa and had a fantastic holiday, not least due to its excellent condition and location. We are serious Disney fan's and were able to leave the villa at 8.15am each day and be at any of the parks in time for opening at 9am. We liked being in a quiet area, but close enough to get to everything easily. Try the Macaroni Grill on the 192 for a great value meal. We have just returned from our first visit to Florida. Jons villa is beautiful, very well equipped and spacious. The villa felt like 'home' from the moment we arrived. The children loved the pool and the games room. In fact my son who is 9 sometimes just wanted to go 'home' so he could swim in the pool! The villa is very well situated for Disney and nearby are a host of lovely restaurants. Jon was very helpful both before the holiday and whilst we were there. Thank you for letting us stay. We had a wonderful stay at Cumbrian lakes, the Villa was clean and spacious and had everything we could ever need. The kids loved the games room (prefering it to the theme park some days!!) With the play area and the lovely lake around the corner it was pleasant to spend time in and around the villa, along with being a gated community meant the surroundings were safe and secure. Definately return soon. Thanks from the Corbett family. Had a great time! Boys loved the pool and the pool table. Needed the air conditioning in the hottest Florida heatwave on record! Jon got the little things right - like having enough cutlery and crockery to use before the dishwasher was full. Defintely would stay here again if we revisit Orlando. We had such an amazing time! We were so impressed with how beautiful and immaculate the villa was kept. Our neighbors also made us feel so welcomed. And of course, Jon's hospitality was greatly appreciated. We look forward to visiting again!!! We had a fantastic holiday in Florida. With the stay at Jon's villa adding to the enjoyment. The pool, internet, games room and facilities on offer were excellent. The rear of the property is not overlooked and the community is both private and secluded, yet only a few minutes from everything you are visiting the area for. The villa is excellent, clean, tidy with everything supplied that you might need. Jon was also very helpful. You won't go wrong with this villa. We loved Jon's house and would definitely stay there again! It was neat and clean, and Jon was always available for any questions we had. I would highly recommend this villa to all my friends. We had a most enjoyable vacation in Kissimmee. Jon's villa was neat, clean and comfortable and much better than staying in a hotel. We had everything we needed for the week. The house easily accomodated our family of six and the pool & internet access was a welcome bonus! Cumbrian Lakes is a beautiful community - far away from the traffic but just a short drive to the stores and attractions . We would definitely recommend this property to anyone looking for excellent accomodations. We hope to come back again. All descriptive text & photographs are the copyright of the owners and may not be used, copied or reproduced in any form under any circumstances. Copyright © 2007. All Rights Reserved. Your enquiry will be sent to villa ref 474 only. This page has been viewed 74993 times since 17 Nov 2002.